Beware Hidden Shipping Charges Through Amazon Vendors! Amazon's system for letting other vendors sell through their site leaves a giant loophole to nail you on shipping fees. Take this memory card, on sale for a penny. You'd almost buy it on principle, right? What you don't see until you've completed the order is the FORTY-DOLLAR SHIPPING FEE, and that's per item! $0.09 Kingston flash memory card - 256 MB - miniSD From Amazon! Buy a Kingston flash memory card - 256 MB from Amazon for only 9cents! No rebates, that's the price - and free super saver shipping. It's even kind of attractive looking, for a flash drive. 1GB Kingston USB Flash Drive for $6.58 on Amazon! NO REBATES! 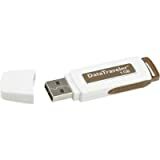 Amazon.com are selling Kingston Data Traveler 1 GB USB Flash Drive's for $6.58! Amazon.com has it 85% off for $6.58. A very good deal for 1 GB. 1GB flash drive measures 8 x 10 x 6 inches and weighs 2 pounds! Well, sure, it's a bargain at 24 dollars, but it might be a little bit cumbersome to plug it into my laptop. Amazon.com is selling a Kingston 1GB SD card for $12.99 (before shipping cost) without any rebates or anything. If you are picking up something else on amazon and need an SD card, this is a great buy! They list it at $39.99 most go for $19-$16 No Rebates Needed. Great for storing digital photos.